We offer intensive 4-week (134 hour) CELTA courses every month of the year. This TEFL qualification is trusted by employers, language schools and governments around the world. Take advantage of our comprehensive careers service and you too could launch a new career as an English teacher. The CELTA is accredited by Cambridge Assessment English and is fully-recognized as an international teaching qualification. You can read more about CELTA accreditation here. You do not need to be a native speaker of English, be able to speak a foreign language, or have any previous teaching experience in order to be considered for this course. This course is for everyone who has proficient level of English and is motivated to help others learn English. 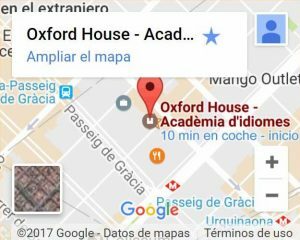 What can I expect on the CELTA course? Training for teaching adults and young learners. Minimum 6 hours observed teaching practice with adult students. Dynamic workshops and input sessions. Careers support – before, during and after the course. A positive, dynamic and supportive learning environment. Small groups and friendly atmosphere. Access to our online community and events. 1. Apply for the course via our teacher training website here. Once we’ve received it, we will get in touch to arrange a 25-minute interview via telephone/ Skype/ face to face. 2. We will measure your level of English via the application form, a short written task and during your interview. If/once accepted onto the course, we will send you a Place Offer email with more information. 3. In order to take the next step to getting qualified to teach English, you would need to reserve your place on the course with a €300 deposit. You can check the course fees and dates here. For more information, feel free to contact us at tesol@oxfordtefl.com or apply here.